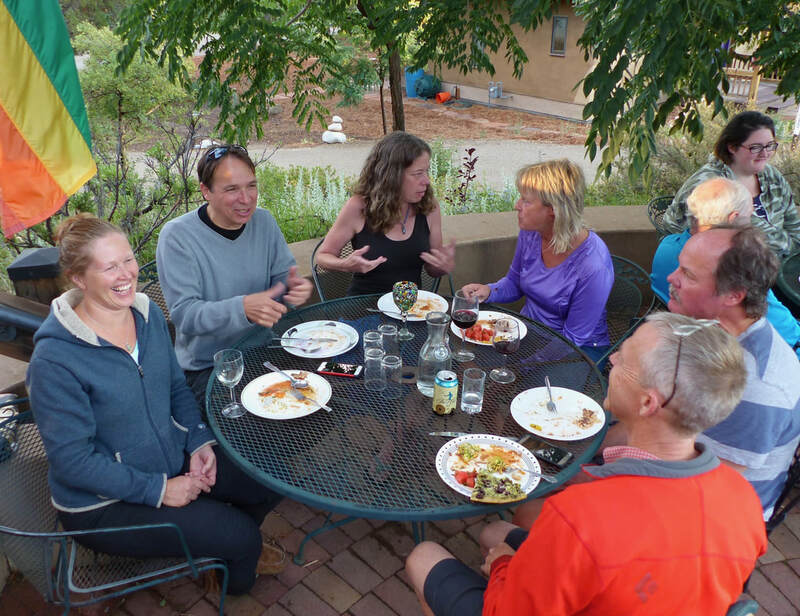 Neighbors enjoying a summer evening at the Friday potluck on the common house terrace. On the 4th Friday of every month, we invite the public to our weekly Friday Happy Hour and Potluck. This is a great opportunity for you to learn about Heartwood, have fun meeting community members, and explore the possibility of living with close friends and nature at your doorstep. Please RSVP by contacting Gail Davidson at gaildavidson1@gmail.com. ​Please bring a dish to share for the Potluck and, if so inclined, a beverage for Happy Hour. From CO Hwy 160, turn north onto CR 506 at mile marker 102. (about 15 miles east of Durango, 1 mile east of Gem Village, or 2 miles west of Bayfield). After about 0.3 miles, turn right onto Heartwood Lane (2nd road on the right off of CR 506). Stay on Heartwood Lane for 0.8 mile until you reach the housing cluster. Visitor parking is to the left and across the road from the Common House. 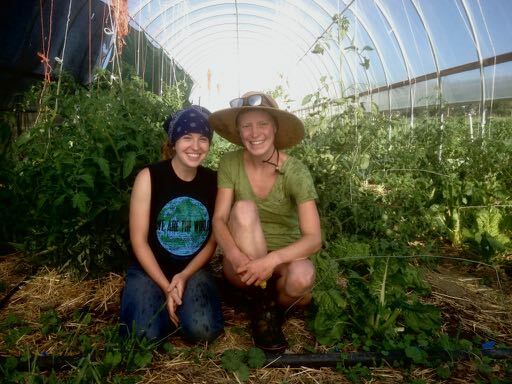 Happy gardeners growing fresh veggies in the high tunnel greenhouse.